Адрес Office 412, Brestskaya Str. 18B, Sevastopol, Ukraine. Marine Star Crewing Company welcomes the seafarers interested in long-term and perspective cooperation with a reliable partner. Marine Star Crewing Company carries out activity concerned employment of qualified seafarers on board trade and offshore fleet vessels of foreign ship owners. We rely on profound knowledge of seamanship, as well as on qualitative operation of the high-skilled managers being on the staff of our company. 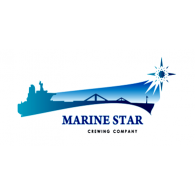 Marine Star Crewing Company is a reliable partner for its clients. The seafarers` and their families` interests are the highest consideration. The specialists, employed by our company can be sure in making interesting and profitable contracts, carrier progression, steady salary. Marine Star Crewing Company guarantees strict fulfillment of its obligations, and the professional approach to the business plus high level of responsibility will allow you and us to become long-term partners. collective body of Marine Star Crewing Company.